1:00 p.m. - 6:00 p.m. - Stroll Main Street and listen to Christmas Music while shopping our many vendors and businesses. Parade of Lights & Festival of Trees Schedule COMING SOON!!! We are offering a Progressive Punch Card again this year. 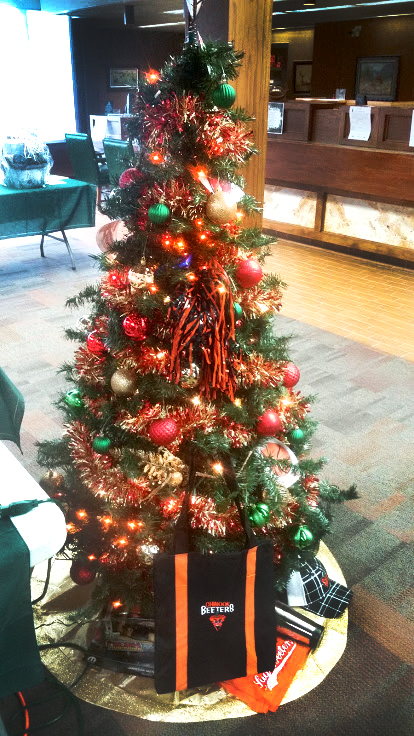 Come pick it up at the Chamber office and visit the businesses listed to get your punch and enter our raffle! There are no known Open Houses at this time. If you are having one, please let us know! Questions? Contact Megan Singh 406-357-3115 for more information. 12:30 p.m. - Vendors begin setting up. Vendors will be on display from 1 to 7 p.m. If you would like to become a vendor, download at the bottom of the page to fill out a form or call Daniel Dahl (406) 399-3055 for more details. If you would like to enter a float in the Parade of Lights, fill out the following form and bring with you at Parade line-up - 5:30 p.m. on Friday, November 29th. If you would like to enter a tree, wreath or gift basket in the Festival of Trees, simply download the following form and return it to the Chamber office or First Bank of Montana. The Festival of Trees will be held in the lobby of First Bank in Chinook. This year, small baskets and wreaths will be up for Silent Auction ONLY. 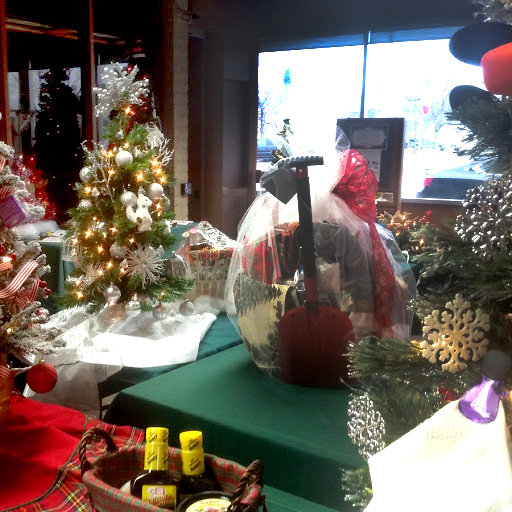 Trees and large baskets will be on display in the lobby of First Bank, then will be moved to the Eagles to be put up for Live Auction ONLY. The Community is Encouraged to get ready for the 9th Annual Festival of Trees in conjunction with the 34th Annual Parade of Lights and Christmas Stroll in Chinook! The 2019 Festival of Trees will be held in conjunction with the 34th Annual Parade of Lights and Christmas Stroll in Chinook, Montana on Friday, November 24th, 2019 from 8:00 a.m. to 4:00 p.m. in the lobby of First Bank of Montana. The community of Chinook and Chamber board are graciously coordinating this event. Area businesses and individuals are asked and encouraged to donate a decorated tree, wreath or gift basket of any kind to the event. The community is encouraged to donate any type of item, it is not limited to a tree, basket or wreath. The donor business/individual is responsible for purchasing their tree or item and the decorations on it; as well as items “underneath” the tree. You will become part of a magical community event by donating a decorated holiday tree to the Festival of Trees. Your beautiful tree/wreath will be displayed from Monday, November 11th until Friday, November 29th and will be viewed by hundreds of people from around the area. Whether you are advertising for your business, helping to promote an organization, showcasing your children’s creativity, or simply decorating a tree/wreath for yourself or your family, you’ll be proud to be part of this exciting fundraising event for the area organizations to benefit. All proceeds from the 2019 Festival of Trees will benefit the Snowflakes on main street. Your tree theme is up to you. Creativity is encouraged! Tree size may range from 16 inches (mini tree) up to five feet tall. Some donors decorate a tree in memory of a loved one, as a family project, to promote a cause or to advertise a business. Artificial Trees and large baskets are donations to the Chinook Area Chamber of Commerce Festival of Trees and will be auctioned via live auction. Artificial wreaths and small baskets are donations to the Chinook Area Chamber of Commerce Festival of Trees and will be auctioned via silent auction. The community is invited to bid on the wreaths/baskets during the 2 weeks they will be setup in the First Bank of Montana. The trees/large baskets will be on display the 2 weeks prior to the auction. At 4:00 p.m. the silent ends and the live auction items will be moved to Eagles. The total height cannot exceed 5 feet. Edible Items are allowed as a part of the “contents” beneath the tree should you desire a theme of such, but please do not place edible items on the tree. Items of value such as gift certificates or tickets should be given to the Festival of Trees Coordinator upon check-in. Please bring a photocopy of the gift certificate and place it on the tree. The originals will be given only to the winners. Other ornaments or items of value should be wired or secured to your tree as your tree WILL be moved to the Eagles, please keep this in mind. Please make sure to itemize stuff that are in your baskets as they are hard to see after you have covered them. Please make sure the contents of your baskets are covered. Plan on allowing 2 hours for set-up, and bring a step stool or ladder with you if needed. The Festival Coordinator will arrange the display of the trees. You will be directed to an approximate location for set-up. Depending on the size of your tree, a stand may or may not be used. Keep in mind your tree may be moved. Please take all packaging and boxes with you when you leave. Do not leave anything behind. Keep in mind that trees may be viewed from all sides and you should decorate your tree with the intent that it will be shown from every direction. We hope to see everyone at the 9th Annual Festival of Trees! Let’s all come together to make this event a success for the organizations and entities that will benefit.